A strong children's ministry is the foundation for the future vitality of any church—whether it is a small family community or a robust neighborhood church. In The Most Important Space in the Church, Rita Hays emphasizes that evangelism and spiritual formation begin in the nursery. It is in the nursery that many visitors first interact with church members and experience an outpouring of warmth and acceptance—known as radical hospitality. By building a rich, spiritually rooted ministry with infants through two year olds and with their families, congregations establish a faith formation pattern that continues through all age levels. 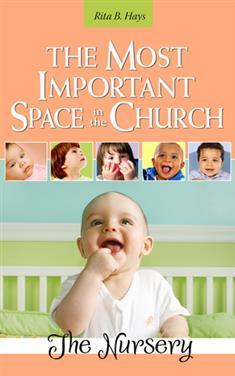 Hays presents both theological groundwork and practical applications for strengthening any church's ministry, beginning in the most important space—the nursery.